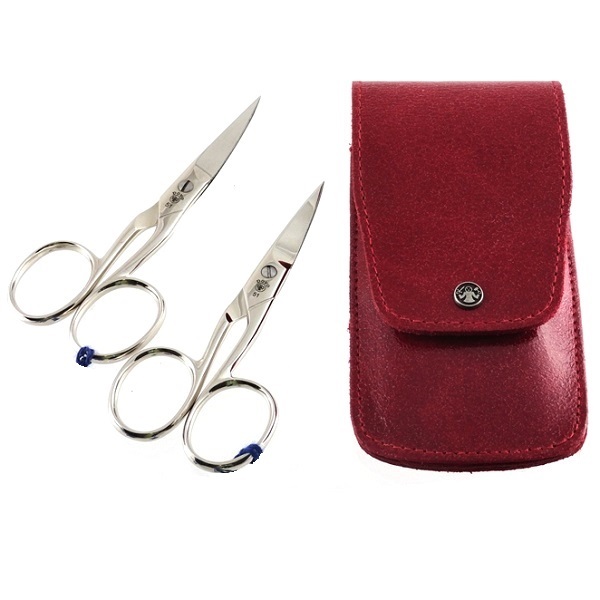 This beautiful new DOVO set has two multi-purpose carbon steel scissors with nickel plate and a high polish finish. 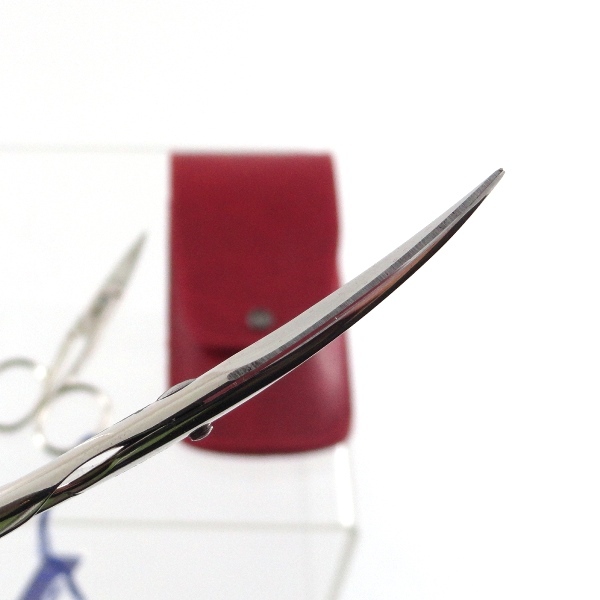 The scissors measure 3-1/2″ in length, one with a straight blade and the other with a curved tip. 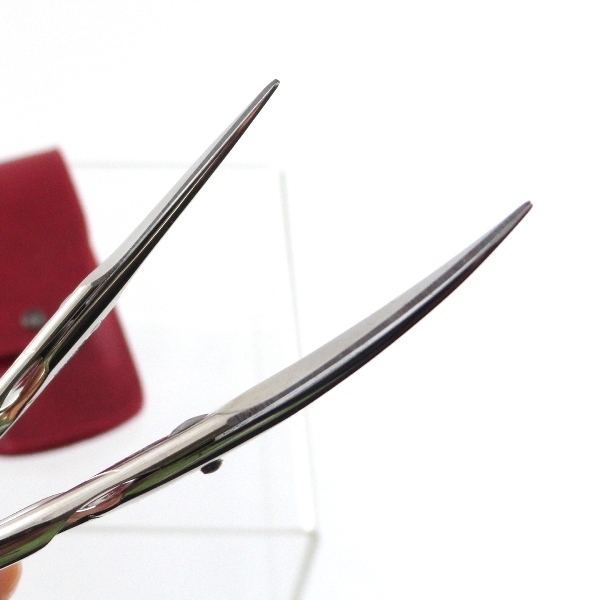 The loops have eased edges for comfort and a slightly larger gripping surface. 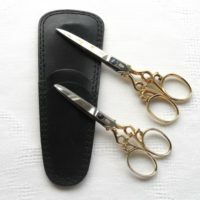 The blade size is perfect for yarns or multiple thread needs and heavier threads rather than for fine detail as is hardanger embroidery or drawn thread. 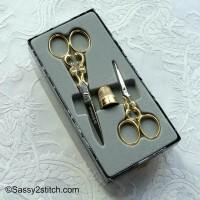 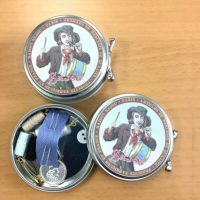 This is a good all-purpose, go to sewing set crafted in Solingen, Germany by Master Craftsmen from Old World Traditions. 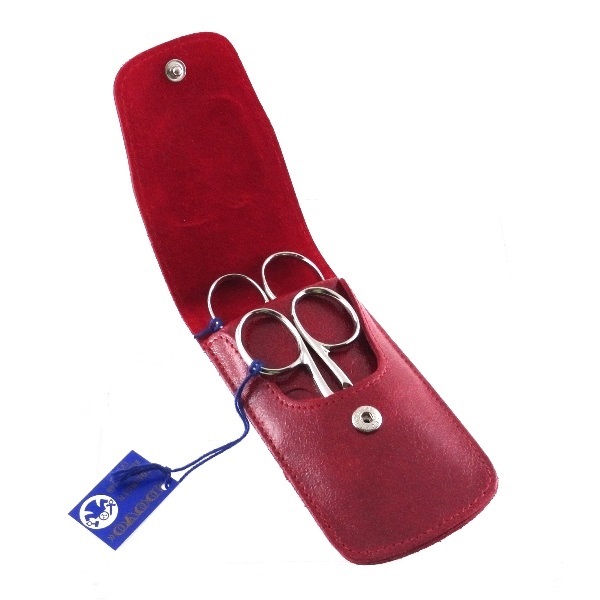 Both scissors fit into a beautiful red leather pocket with the DOVO snap on the front securing your scissors in a velvet inside liner. 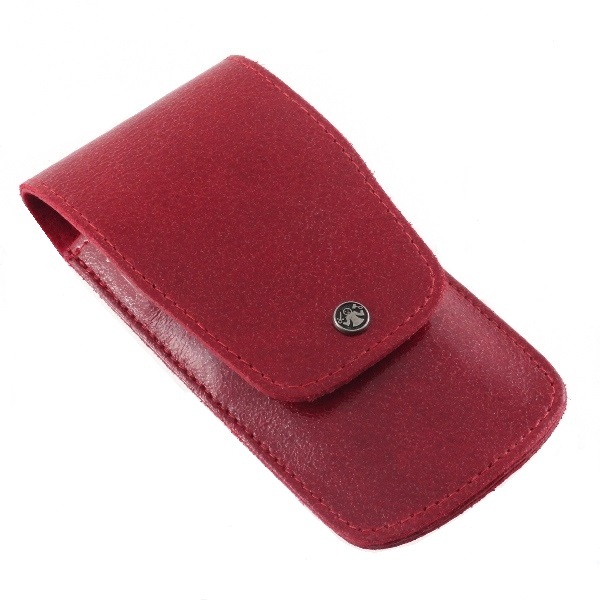 Inside the pocket are three additional slots for tweezers, laying tools, file, etc.